Let’s face it: We all have items on our wish lists that we like to daydream about, even though we know we’ll never be able to have them for ourselves. Things like private jets, Ferraris, Jacuzzis, or maybe a flawlessly designed mega-mansion in the south of France. Some things just aren’t within the grasp of the average person. But some other high-ticket wish list items, well — you might be surprised by how close you can come to actually getting them. For instance, is your present flooring wish list a little too luxe for your budget? Have no fear — affordable vinyl flooring is here to save the day. Read on for our match of common high-ticket wish list items to their affordable vinyl flooring alternatives. Affordable Vinyl Flooring Solution: To make your house look as classy as a Greek art museum, try luxury vinyl tile (LVT) with a marble pattern. 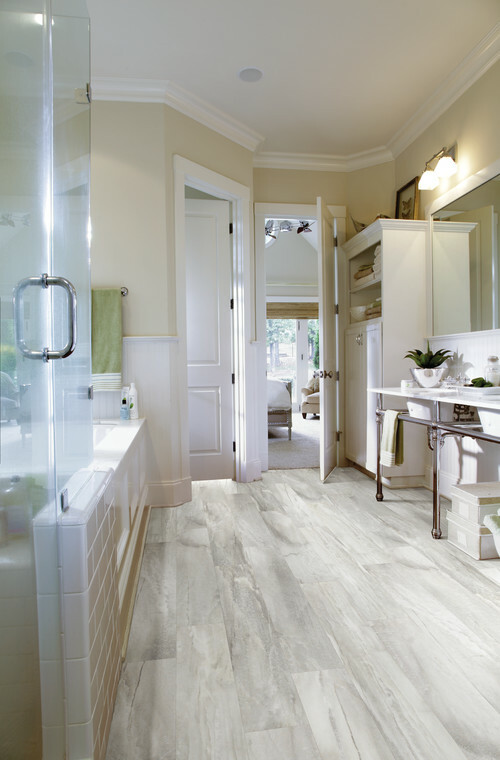 These days, vinyl flooring comes in an almost unimaginable amount of textures, colors, and styles. One of the most popular is marble because vinyl printing technology has gotten so advanced that some vinyl tiles even have grooves in the surface to mimic the marble. This makes it more difficult for viewers to tell the difference, even when they walk on it barefoot. Try it — and we promise, you’ll be fooling your guests in no time. Affordable Vinyl Flooring Solution: Vinyl Plank Stair Treads are a perfect way to get the look and feel of hardwood stairs for a more reasonable price. They come shaped exactly like the front of a step, overhang included, so the front edge of the stair is covered and matches the rest. 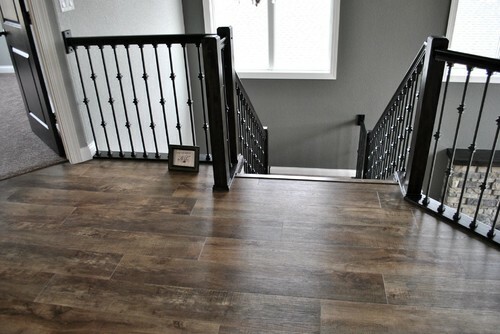 This allows them to seamlessly blend in, giving old carpet or worn-out stairs a fresh, updated look. Affordable Vinyl Flooring Solution: Today, vinyl tile makers have the ability to accurately replicate a wide variety of different materials—terracotta included. Not everyone can order their kitchen tile straight from Italy, but that doesn’t mean we can’t still pretend we live in a warm and breezy Italian villa. 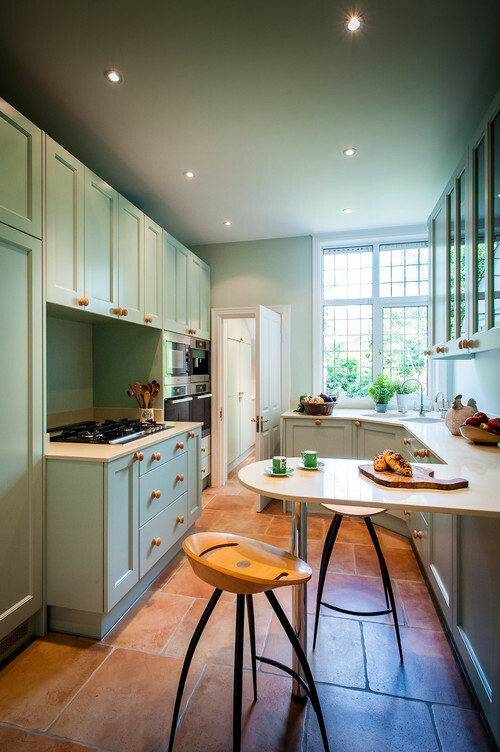 Any one of our top-notch LVT vendors can reproduce the look and feel of real terracotta tiles, for a fraction of the price. The truth is, despite its reputation, vinyl flooring is a surprisingly stylish and cost-effective choice for today’s homeowners. Modern vinyl flooring manufacturers have taken advantage of the massive strides our society has made in technology to provide a more versatile, durable, and sophisticated product for a better price than ever before. Need to see it to believe it? Visit Crystal Carpet’s showroom today and learn how we can accommodate your champagne taste without breaking your budget.